DOUGLAS R. BROWN is a principal of Brody Wilkinson and a member of the firm’s Trusts & Estates and Dispute Resolution Groups. Mr. Brown practices in the areas of estate planning, estate settlement, and probate, trust and fiduciary litigation. He represents individual clients in all aspects of estate planning and estate settlement to maximize the transfer of wealth, minimize the effect of estate and gift taxes, plan for incapacity, and plan effectively for disabled family members through the use of special needs trusts. Mr. Brown is a Martindale-Hubbell AV-rated attorney. Mr. Brown has significant experience in guiding fiduciaries and beneficiaries through complicated estate settlement and trust administration matters. He represents clients in Will contests and trust disputes, contested accounting proceedings, and contested conservatorship and guardianship matters. He also counsels clients in connection with Will and trust construction cases, addressing personal injury claims in estates, estate disputes with creditors, and insolvent estates. Mr. Brown litigates claims either for or against fiduciaries and represents clients in proceedings to remove fiduciaries. He also represents fiduciaries in complex estate and trust matters involving control of business entities and real estate with environmental problems. As a result of his experience, Mr. Brown has been appointed to serve as the fiduciary in several complex estates. He is admitted to practice in Connecticut, the U.S. District Court for the District of Connecticut, and the U.S. Court of Appeals for the Second Circuit. Mr. Brown is a member of the American (Probate and Fiduciary Litigation Committee), Connecticut, Fairfield County, and Greater Bridgeport Bar Associations. 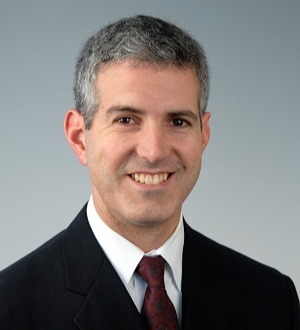 He is a member of the Executive Committee of the Connecticut Bar Association’s Estates and Probate Section, and is past chair of the subcommittee on Probate and Trust Controversies. Mr. Brown has lectured at numerous seminars on estate planning, estate settlement, and fiduciary litigation, including presentations on Will and trust construction, litigation over joint accounts, insolvent estate administration, and the probate court rules of procedure before the Connecticut Probate Assembly (the organization of probate judges and court staff). In 2011, he was appointed to serve on the Connecticut Probate Court Rules Advisory Committee, the committee charged with writing the new Connecticut Probate Court Rules of Procedure which became effective in 2013.Mr. Brown has been recognized multiple times since 2007 as a “Connecticut Super Lawyer” and “New England Super Lawyer” in the areas of (1) estate planning and probate and (2) estate and trust litigation. He received his B.A. from Duke University in 1987 and his J.D. from Washington University in St. Louis in 1994, where he served as articles editor of the law review. Mr. Brown currently serves as the chairman of the Board of Managers of Brooklawn Park Association, a neighborhood association located in Fairfield. He is also active in a variety of other civic organizations, including The Kennedy Center, where he served as chairman of the Board of Directors; the Western Connecticut Council of the Navy League; and Congregation B’nai Israel, where he has served on the Board of Trustees, the Budget Committee and the Investment Committee.